September 2 will mark the 35th anniversary of the repose of Hieromonk Seraphim (Rose) of Platina. In the weeks leading up to this date, I will be occasionally posting a variety of media and articles of interest. A patriarch, two monasteries, and numerous hierarchs, clergy, monastics and laity from several Orthodox jurisdictions join together as another saint who shone forth in America is glorified by the Church. 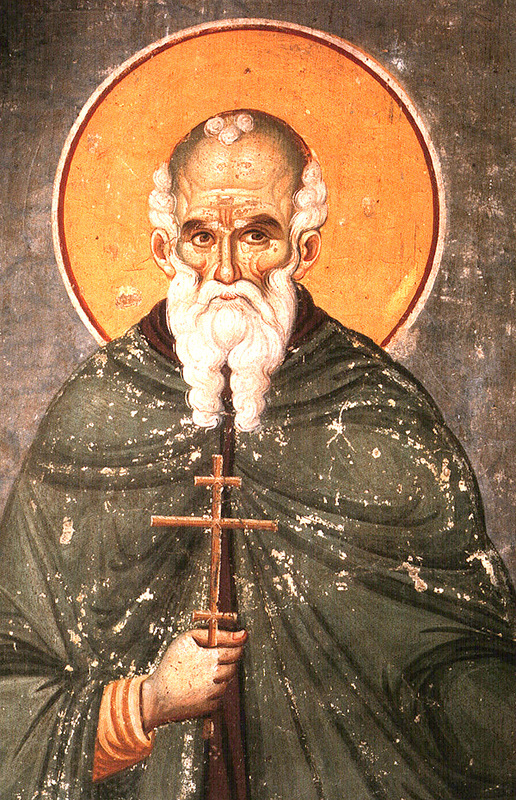 St. Mardarije is a unique saint for our time, a Serbian monastic who loved Christ and His Church from his youth, received his theological training in Russia, was sent to America as a missionary bishop, and served in that capacity with St Nikolai (Velimirovich) of Ohrid. He died from lung disease at the young age of 46 after laboring for his flock for many years. When his remains were disinterred in May of this year, they were found to be incorrupt. 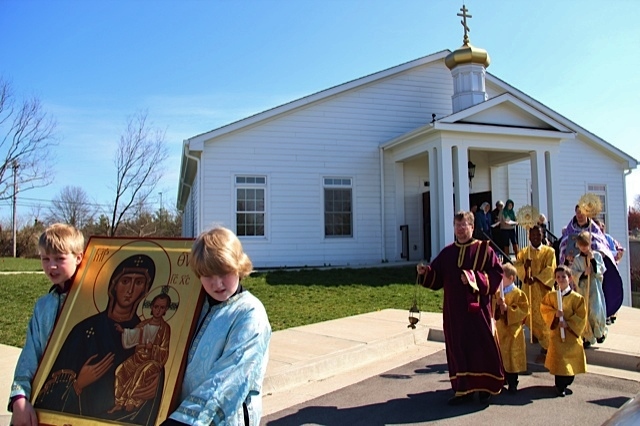 The below article from the Midwest Diocese of the Orthodox Church in America (OCA) relates the Glorification and events surrounding it, and provides a good overview of St Mardarije’s life. 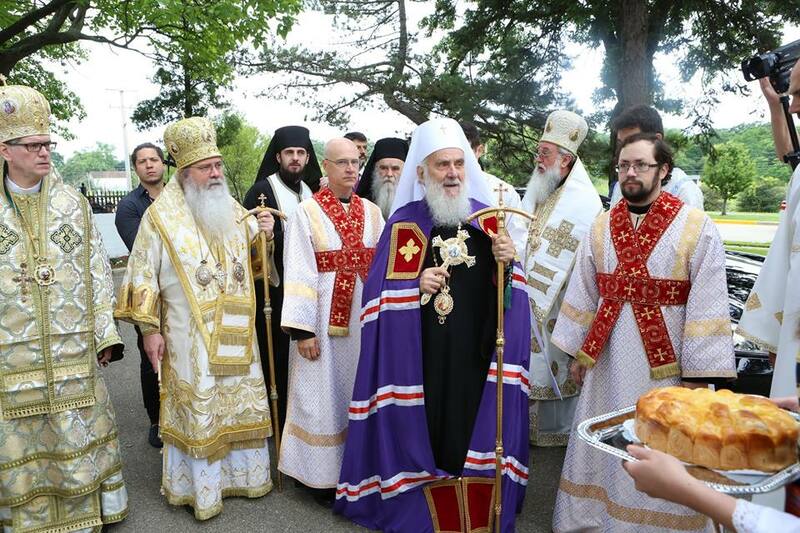 LIBERTYVILLE, IL [MW Diocese Communications] — His Beatitude, Metropolitan Tikhon and His Grace, Bishop Paul of Chicago and the Midwest were among the numerous hierarchs present for the celebration of the Glorification of Saint Mardarije of Libertyville, North America’s first ruling Serbian Orthodox bishop, at Saint Sava Monastery here July 14-16, 2017. Presiding at the pan-Orthodox celebration was His Holiness, Patriarch Irinej of Serbia, who was greeted upon his arrival in Chicago by His Grace, Bishop Longin of the Serbian Orthodox Diocese of New Gracanica and Midwest America and the clergy of Chicago’s Holy Resurrection Serbian Orthodox Cathedral. En route to Chicago, Patriarch Irinej visited the site of Saint Sava Cathedral, New York, NY, which had been destroyed by fire on Pascha 2016, where he was met by His Eminence, Archbishop Demetrios of the Greek Orthodox Archdiocese of America and His Grace, Bishop Irinej of Eastern America of the Serbian Orthodox Church, who brief the Patriarch on plans for rebuilding the historic cathedral. Other hierarchs present at the Glorification were His Eminence, Archbishop Nikodim of Northern Donetsk and Starobel’skii of the Ukrainian Orthodox Church; His Eminence, Archbishop Peter of Chicago and Mid-America and His Grace, Bishop Theodosy of Seattle of the Russian Orthodox Church Outside of Russia; His Eminence, Metropolitan Antonii of Vani and Baghdati and His Eminence, Metropolitan Sava of America of the Patriarchate of Georgia; His Eminence, Metropolitan Nicolae of the Romanian Orthodox Archdiocese of America and Canada; and others. Countless clergy, monastics and pilgrims filled the monastery grounds throughout the weekend. The weekend continued on Saturday with the celebration of the Patriarchal Divine Liturgy at New Gracanica Monastery, Third Like, IL. In his address during the Divine Liturgy, Patriarch Irinej noted the “exceptional personality” of Saint Mardarije, who lived the life of the holy apostles and other great saints, thus emulating the Lord. He noted that, as a saint in the likeness of God, Saint Mardarije belongs to all Orthodox Churches, and not just the Serbian Church. 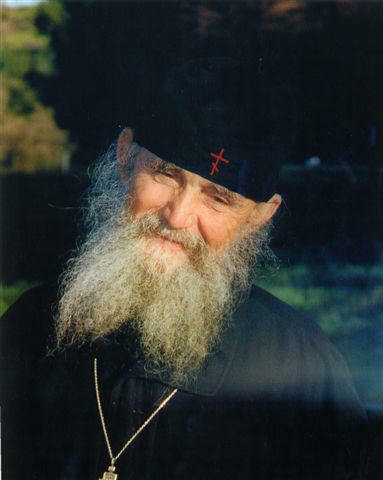 In this first of a six part interview to Pemptousia, Archimandrite Damascene, Abbot of St Herman of Alaska Monastery in Platina, California, speaks about his acquaintance with Father Seraphim Rose and the influence of his presence on Fr Damascene’s Christian life. This book was so popular and beneficial for those leading a spiritual life in pre-Revolutionary Russia that it was reprinted several times and distributed to all monasteries, sketes, and many parishes. It was a key guidebook for women monastic aspirants, giving them a right understanding of how to dedicate their lives to God. Vespers at 6:30pm, followed at 7:15pm by my presentation on Orthodox Monasticism and a slide show of images from the North American Thebaid Project! This coming week kicks off my Summer travels with a highly anticipated (certainly by me!) mid-week presentation at a thriving parish of the OCA Diocese of the South: St Athanasius Orthodox Church in Nicholasville, just a few miles south of Lexington KY. If you’re curious about Orthodoxy and/or monasticism, I think you’ll find this a rich and informative evening. I have long wanted to visit this growing Orthodox community, to worship in their new church building (which they moved into in 2014) to be sure, but also to get to better know these dear brothers and sisters just “down the road” from us in Cincinnati. It’s always a joy when Fr Justin and Mat. Tamara and sons stop in to join us for Vespers when passing through the area, and we have known each other now for years. You can learn more here about the inspiring history of the still young parish of St Athanasius (especially significant for Protestants and Evangelicals wishing to learn more about Orthodoxy). Their journey is unique in some surprising ways, yet will sound very familiar to those of us who have likewise been converted in our hearts by our own encounters with the early Church Fathers. Check their Directions page and make your plans to join us this coming Wednesday evening! My sincere thanks to Fr Justin Patterson for his invitation, and to Kathy and Audrey for promotion, logistics and refreshments! If you’re in the Lexington or Central Kentucky area, we hope to see you! Free and open to the public, refreshments provided, plenty of time for fellowship and Q&A. Here is a wonderful spiritual reflection on Elder Ephraim of Arizona and the significance of his establishing 17 monasteries in North America in the Athonite tradition. You can learn more about St Anthony’s Monastery in Florence AZ here, which relates the story of Elder Ephraim’s monastic life and how he began establishing monasteries in America in 1995. I have several of the Elder’s monasteries on my itinerary, and look forward very much to imbibing spiritual nectar from them, and, God willing, to making some compelling photographs of their hidden life. For those in America who have chosen monasticism and have the thirst for an intense struggle in prayer, the Elder Ephraim has brought them the Athonite Hesychast tradition. The Elder Ephraim recently reached the age of ninety. He has not been functioning as an elder for more than a year because of health issues; and at his age and with his physical condition it is doubtful that he will again function in that capacity. As one who has become somewhat renowned, however, there has occasionally been controversy over him. Most of the spiritual children of his monasteries consider him to be a saint and one who has wrought a miraculous renewal among the Greek Orthodox in North America. This effect did not cease with the Greek faithful but spread elsewhere, as well.. Indeed, the lives of many have been touched and changed by the Elder. However, he has also been under attack at times, and negative opinions have been expressed concerning him—I do not want to approach this subject. But there is one aspect of the work he has accomplished that has been much on my mind recently and this is what I want to write about. I will introduce this topic with a question: What has Elder Ephraim done for monasticism in our land? This issue of The Orthodox Word features a new chapter of the second volume of The Northern Thebaid: Monastic Saints of the Russian North. 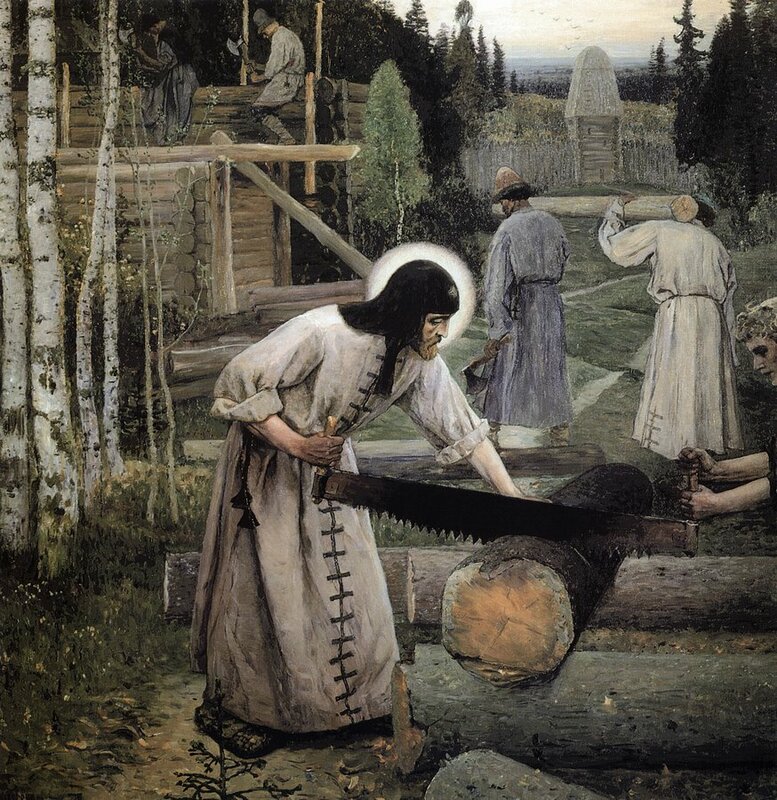 St. Cornelius of Komel (†1538) was a great monastic founder of the Vologda region of Russia, about 250 miles to the northeast of Moscow. Like the renowned St. Sergius of Radonezh a century and a half before him, St. Cornelius was the spiritual father of many disciples who became founders of yet more monasteries. This Life, based on the original Slavonic version, is rich in historical details and appears here in English for the first time. 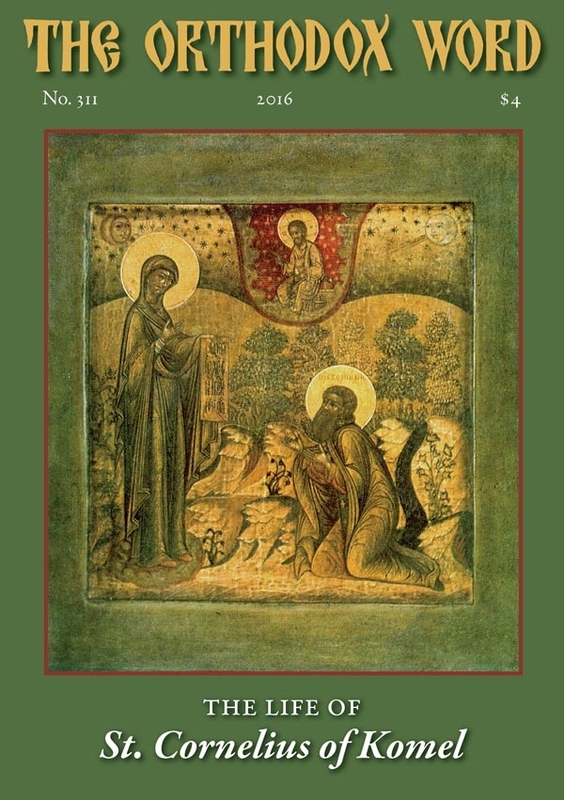 St. Cornelius’ monastic Rule is one of the only four surviving written testaments of that era of Russian spirituality; his introduction to that Rule is included in this Life. Order the print version here, digital version here, subscribe (choose print or digital) here. Beautifully illustrated by full color icons of St. Cornelius on the front and back covers, and numerous illustrations, icons and photographs accompanying the text (some in full color in the digital edition), this issue of The Orthodox Word points to the eventual publication of a worthy successor to The Northern Thebaid, originally published over forty years ago. Third and concluding part from the journal, Orthodox America. The Rule or “Typicon” governing Orthodox monastic life is based upon that of St. 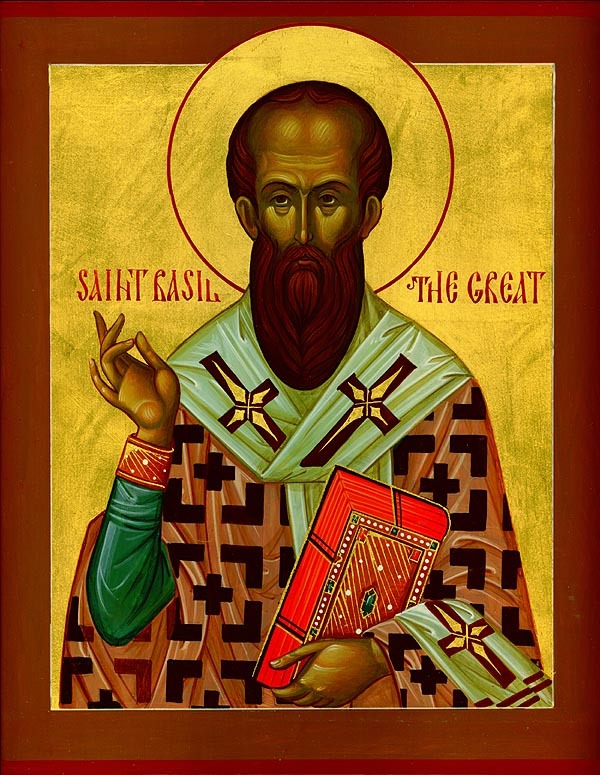 Basil the Great (d. 379), which he synthesized from the tradition of the early Desert Fathers. This Rule was later adapted by various great fathers of monasticism throughout the centuries: St. Sabbas the Sanctified in the 5th century, St. John Climacus in the 6th century, St. Theodore the Studite at the end of the 8th century, and others. It likewise provided the foundation for the great Athonite tradition which evolved in the 10th – 14th centuries, and the revival of monasticism in Russia and Moldavia in the late 18th century under the inspiration of St. Paisius Velichkovsky. 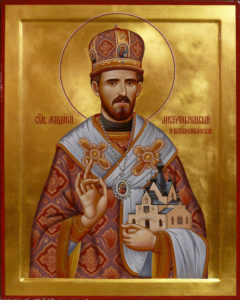 Today St. Basil’s Rule remains an important part of the spiritual tradition of the Orthodox Church. 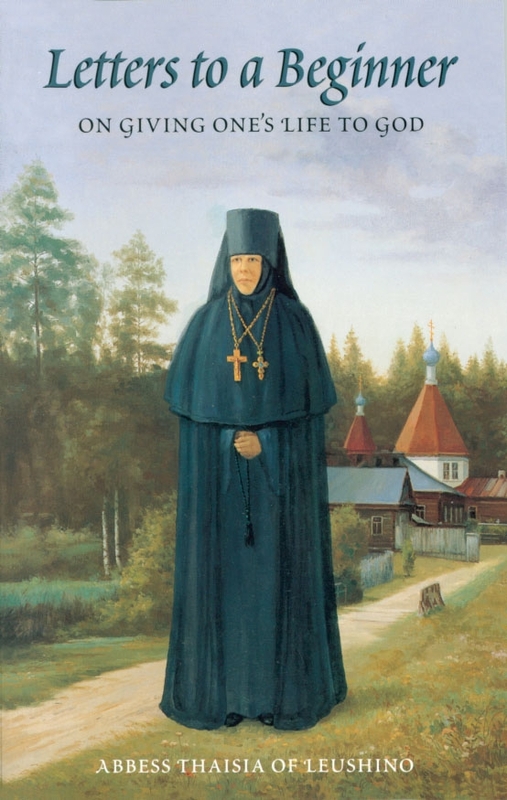 “Orphaned at an early age,” this great saint “was raised by a certain good and pious nun.” He “imitated his adoptive mother in the habits of monastic life, in fasting and in prayer,” and grew to be a shepherd of souls, founding a monastery which thrives to this day, over a millennium later. From this we see how proximity to monasteries through regular pilgrimages can help children and young people — all of us, really — grow in the Life in Christ by cultivating the good habits of the monks and nuns. And who knows, some of us may eventually become monastics ourselves! Saint Athanasius of Athos, in holy Baptism named Abraham, was born in the city of Trebezond. He was orphaned at an early age, and being raised by a certain good and pious nun, he imitated his adoptive mother in the habits of monastic life, in fasting and in prayer. Doing his lessons came easily and he soon outpaced his peers in study. After the death of his adoptive mother, Abraham was taken to Constantinople, to the court of the Byzantine emperor Romanus the Elder, and was enrolled as a student under the renowned rhetorician Athanasius. In a short while the student attained the mastery of skill of his teacher and he himself became an instructor of youths. Reckoning as the true life that of fasting and vigilance, Abraham led a strict and abstinent life, he slept little and then only sitting upon a stool, and barley bread and water were his nourishment. When his teacher Athanasius through human weakness became jealous of his student, blessed Abraham gave up his teaching position and went away. During these days there had arrived at Constantinople Saint Michael Maleinos (July 12), igumen of the Kyminas monastery. Abraham told the igumen about his life, and revealed to him his secret desire to become a monk. The holy Elder, discerning in Abraham a chosen vessel of the Holy Spirit, became fond of him and taught him much in questions of salvation. One time during their spiritual talks Saint Michael was visited by his nephew, Nicephorus Phocas, a military officer and future emperor. Abraham’s lofty spirit and profound mind impressed Nicephorus, and all his life he regarded the saint with reverent respect and with love. Abraham was consumed by his zeal for the monastic life. Having forsaken everything, he went to the Kyminas monastery and, falling down at the feet of the holy igumen, he begged to be received into the monastic life. The igumen fulfilled his request with joy and tonsured him with the name Athanasius. Part 2 of a three-part series from the journal, Orthodox America. Where do Orthodox Monks and Nuns Come From? Orthodox monks and nuns come from all walks and manner of life. In former times the greater number were of peasant stock, but at the same time many a great name lay hidden under the humble black habit and the new Christian name received at tonsure. Certainly there were to be found many unlettered and uncultured monks, because the cloister was and is open to all, regardless of social rank or education. But if one reads the daily offices and grasps their scriptural and theological wealth, and if one hears the readings from the Holy Fathers — all of which are the monk’s daily fare, one begins to think twice about the intellectual superiority of their critics.